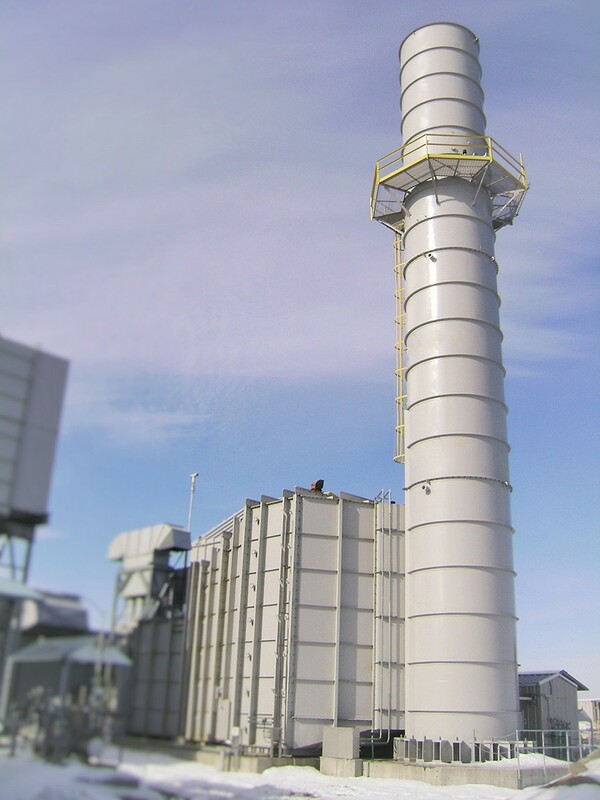 Gas turbine exhaust silencers are designed for reliable operation during the cyclic and sustained elevated temperatures experienced by gas turbine exhaust systems used for power and compressor station applications. Constructed to provide maintenance free, long life, acoustic materials are contained to prevent settling and erosion that result in reduced acoustic performance and airflow in the structure that results in higher community noise, reduced performance and failure of the silencer. 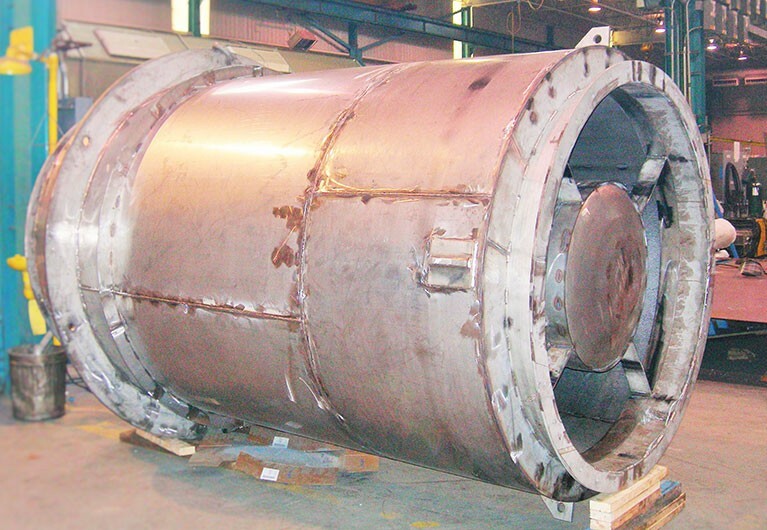 Silencers are provided for new projects and as a replacement of OEM gas turbine exhaust silencers for refurbishment and up-grade to existing gas turbine exhaust system silencers. VG Engineering produce a range of Centrifugal Fan Silencers that are matched to the fan outlet air flow profile to provide the lowest additional pressure to achieve the required sound reduction. Rectangular silencers with a plenum at the fan outlet are most cost effective for acoustic performance and system pressure effects. Rectangular silencers are flanged to suit standard fan bolt patterns for easy installation. Where vertical applications are required, aerodynamically enhanced, acoustic plenums can be provided. Flexible seals between the silencer and fan can be eliminated by mounting the silencer on support legs and vibration isolation pads so that the fan can be directly mounted to the fan. 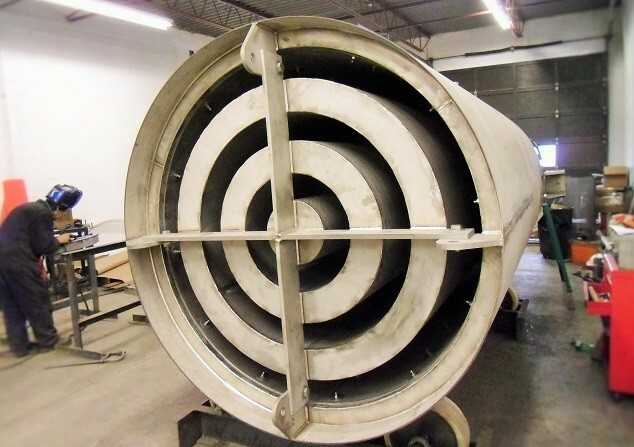 Silencers are fabricated using galvanized or stainless steel with optional paint or epoxy finishes available. Silencers can be provided with perforated metal baffles with the acoustic glass fiber medium wrapped in a liner to prevent dust absorption or pack-less, no fibrous acoustic media designs to suit the application. Options include: filters, provision for air flow monitoring, bird screens, rain hoods and cleaning access points. Typical applications are on the outlet of centrifugal fans in process air, exhaust air, dust collection, and ventilation air systems. VG Engineering provides axial fan silencers that connect directly to the inlet and discharge sides of the fan housing. The silencer connection point is available as a slip or flanged type to match the fan and duct. Our silencers are designed and built to provide excellent acoustic performance that is matched to the fan type and application. Silencers consist of an acoustically lined outer casing enclosing a cylindrical perforated liner that matches the fan casing diameter. The silencer also has center pod or “bullet” that matches the axial fan hub. This center silencer pod extends through the length of the silencer and together with the close coupling to the fan casing improves the fan aerodynamic performance by improving static regain and minimizing pressure drop. Our silencer design and construction are to the highest standards to ensure energy efficient, reliable, long life performance whatever the application. 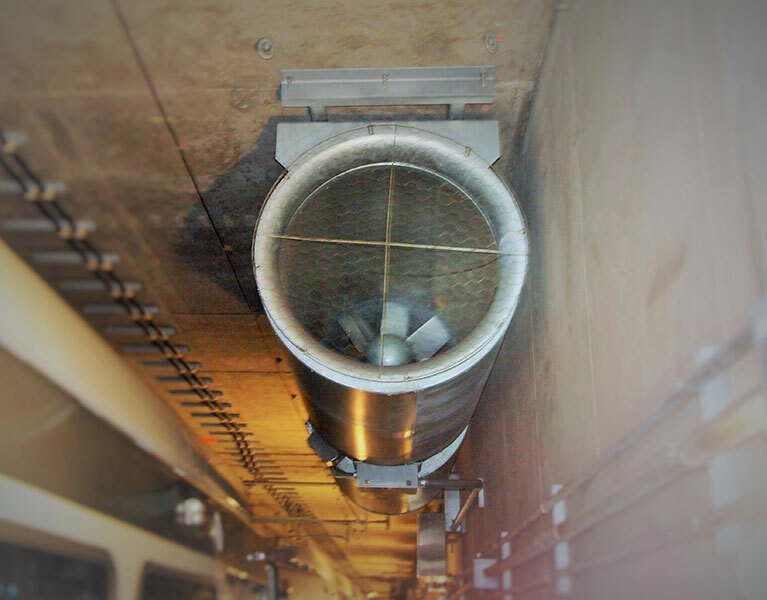 VG Engineering provide jet fan silencers designed to suit the specific environment in a range of applications that include car parks and tunnels for automotive, rail and mining. 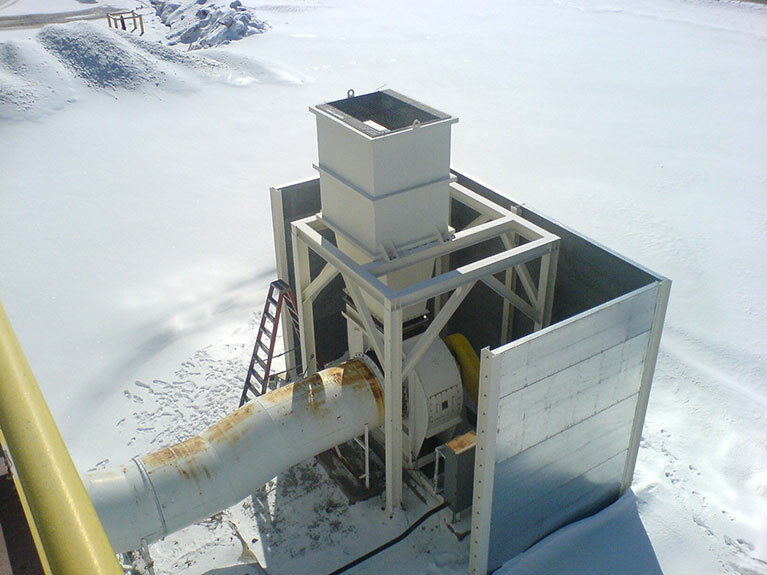 Silencers are designed based upon the fan type, combined forward and reverse flow and mounting requirements. Aerodynamic aids include silencer components sized and matched to the fan assembly, also entry and discharge flairs and debris screens. Careful attention is paid design details such as the internal center silencer pod supports to ensure optimal aerodynamic and acoustic performance for energy efficient, reliable, long life performance whatever the application environment. Welcome to VG Engineering, a unique company offering engineering, R & D, manufacturing and “Turn-key” capabilities together with a broad range of in-house engineered products that provides you with a one stop resource for your project solution. Our success is built on our focus to identify our customer’s individual requirements that are met with high quality, cost-effective solutions for Noise, Vibration, Flow and Dispersion Control.